The Urals city will now forever be known as the home of the exploding meteorite, but a bigger story – that of the upheaval of the 20th century in Russia – is told in its architecture. Chelyabinsk, located on the Miass River just on the east flank of the Ural Mountains, has been one of those largely ignored workhorses cities, part of the backbone of Russian heavy industry. The city was long taken for granted in its own country and little recognized beyond. Indeed, it was better known for its secret satellite towns, whose laboratories and institutes labored for the military. That obscurity is forever gone thanks to a spectacular, once-in-a-century encounter with a meteorite—an encounter whose heavenly explosion was captured by innumerable automobile dashcams and spread almost instantaneously via the Internet: from a burst of light to virtual light everlasting. So the entire planet has now heard of Chelyabinsk. Yet few outside observers know very much about this ninth-largest city in Russia. The history of Chelyabinsk is a story of massive effort and heroic endurance. The city’s rich local culture – as well as the enormous changes of the 20th century – are reflected in its architecture. Chelyabinsk was founded in the fall of 1736 as part of a chain of forts to protect supply lines from the granaries of western Siberia to the new Orenburg territory on Russia’s southern frontier. Although situated in a region rich in metals and towns that worked those metals, such as Zlatoust and Miass, Chelyabinsk remained a local market town for over a century. All of that changed in the 1890s with the construction of the Trans-Siberian Railroad, which made Chelyabinsk a major junction in the southern Urals and a gateway to the east. Lured by agricultural reforms and promises of rich lands in Siberia, thousands of peasant families passed through special resettlement centers in Chelyabinsk, where they received rudimentary care and supplies for the trip to Siberia, now cast as a land of opportunity. By 1897 the town had 20,000 inhabitants of considerable diversity, including a Jewish community whose synagogue still exists and is used for worship. (Its stained glass windows were damaged by shock waves from the meteorite explosion.) 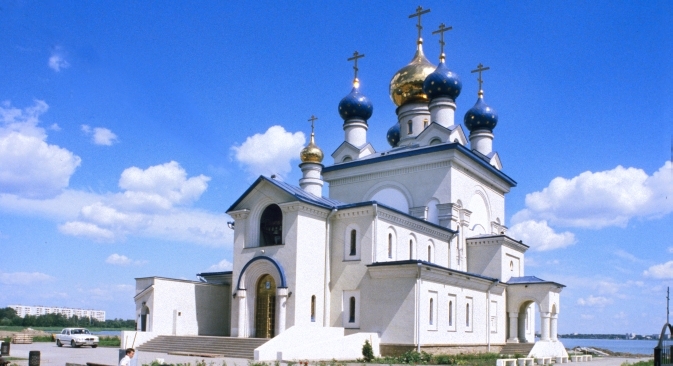 This period also witnessed the construction of Orthodox churches, some of which have been restored. In addition Chelyabinsk now has four mosques. The growth of the city’s commercial activity was boosted by agriculture and the construction of tall grain elevators. The transfer to Chelyabinsk of the main eastern customs point meant that the huge trade in Chinese tea was now processed in the town’s tea sorting plants. All of this was enabled by the railroad. And while the years of war, revolution and civil war took their toll, Chelyabinsk recovered and tripled its population by 1926. But this was nothing compared to the next decade. For Chelyabinsk, the launching of the state’s first five-year economic plan in 1928, and the subsequent rapid march toward industrialization involved a transformation noted around the world, including the United States. In just over a decade, the population of Chelyabinsk quadrupled. The giant tractor factory was intended to launch Soviet agriculture into the machine age, and the metallurgical plant produced high quality steel and steel products. As a sign of the new age, high-profile administrative buildings arose in a functional Soviet style, particularly on Lenin and Kirov Streets. At the same time churches were destroyed, including the main cathedral. With the outbreak of war on the Eastern front in June 1941, many military-industrial plants from the western Soviet Union were evacuated to Chelyabinsk, and local factories were reconfigured to produce weapons under the able direction of local party chief Nikolai Patolichev. The converted tractor factory produced tanks and self-propelled guns in such numbers that it became known as “Tankograd” (Tank City). To this day a copy of the J. V. Stalin heavy tank stands on a pedestal outside the factory. With the reconstruction of the country after the war, demand increased for Chelyabinsk steel and machinery. Large buildings arose in the Stalinist neoclassical style for administration, culture and the housing of elite factory workers. The region also became a center for research and production of atomic weapons. This industrial, technological and military surge came at a great price. Chelyabinsk gained a deserved reputation as one of the most polluted cities in the Soviet Union. And in 1957, nuclear waste stored at the Mayak atomic facility (45 miles northwest of Chelyabinsk) exploded in one of the worst such catastrophes before Chernobyl. In the 1990s, Chelyabinsk and its heavy industry experienced severe financial challenges. With sardonic humor, locals noted that at least the air was easier to breath. The economic situation has now rebounded. The Chelyabinsk Metal Plant (part of Russian mining conglomerate Mechel) and the tractor factory once again employ thousands, and the city’s population has actually increased. The city’s enormous universities—Chelyabinsk State and South Urals State—have contributed greatly to this recovery. Construction of a small subway—a badge of honor for every Russian city over a million in population—is proceeding slowly and at great cost. Chelyabinsk is now faced with the task of repairing the damage from the meteorite explosion—estimated by the region’s governor, Mikhail Yurevich, at a billion rubles (almost $35 million). The broken glass has been quickly replaced in this frigid season, but some factories suffered more serious damage. Fortunately, no fatalities have been reported, and of the several hundred treated for cuts from flying glass, only a few dozen have been hospitalized. It could have been much worse. Although the meteorite has certainly raised the profile of Chelyabinsk, the city is unlikely to become a major tourist destination. Nonetheless, the main goal of any city should be to provide a decent quality of life for its inhabitants. In that regard Chelyabinsk and its growing population have much to look forward. Meteor shower in the Russia's Sverdlovsk region smashed windows in several houses and injured more than 1000 people, according to reports from Russia's media. This accident brought about discussions among both pundits and Russian officials about the size of the metiorite as well as the difficulties encountered in predicting such events.